this time last week we were back in Illinois for a whirlwind visit. 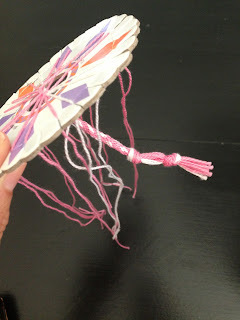 Check out her blog if you're looking for a cool craft for your kiddos to do. 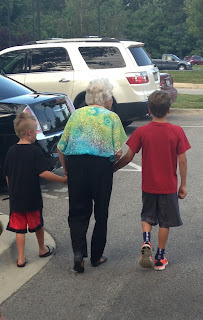 There is never enough time to see everyone we would like when we go "home." My team always needs a little down time wherever we are so fitting everything in just isn't possible! We did get to most of our restaurants although we didn't make it to Crown Candy to test it out for ourselves. Hopefully we can check it off our list next time we're in town along with the people we didn't get a chance to see. I won't bore you with a ton of pics but here are a few from our trip. And if you're visiting in the St. Louis, Mo/Edwardsville, IL area I highly suggest you try out our favorite places! 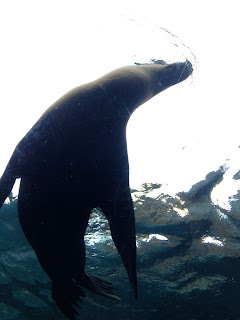 The new sea lion exhibit at the St. Louis Zoo. BTW the admission is ZERO dollars and it's one of the best zoo's around! 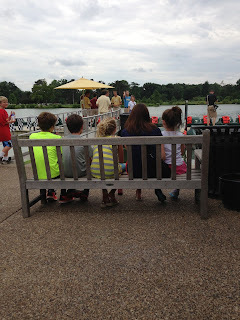 Cutest pic of the kids with my sister at The Boathouse watching the dog races. 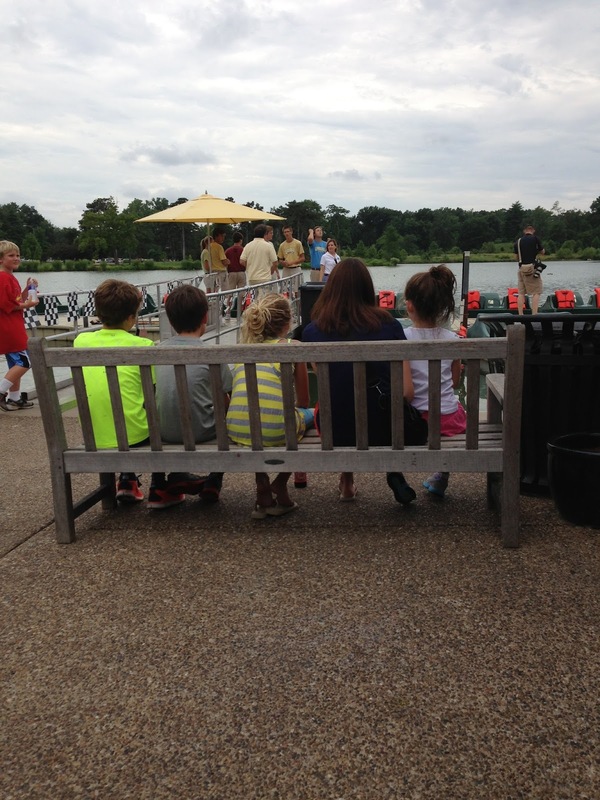 It's the perfect place to unwind after visiting the St. Louis Zoo. Sweetest pic of Jack and Max walking their GiGi out of Peel restaurant. 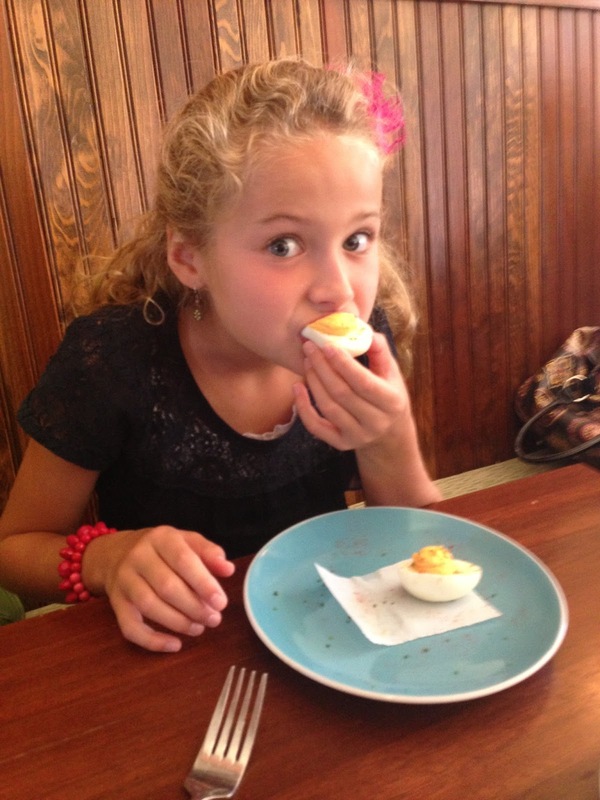 Ry finally sinking her teeth into Cleveland-Heath's deviled eggs! Was so fun! Always love our time together. Looking forward when you can come back and linger longer! UM have you NEVER been to Crown Candy? I'm not a fan of the food (everyone likes their BLT but I don't eat pig) ............But their Ice Cream is to DIE for. I get the caramel sundae and it is as big as my head but since I only eat it once a year (if even that) I figure it is totally ok. Love the STL and always will. So glad they have kept it free.